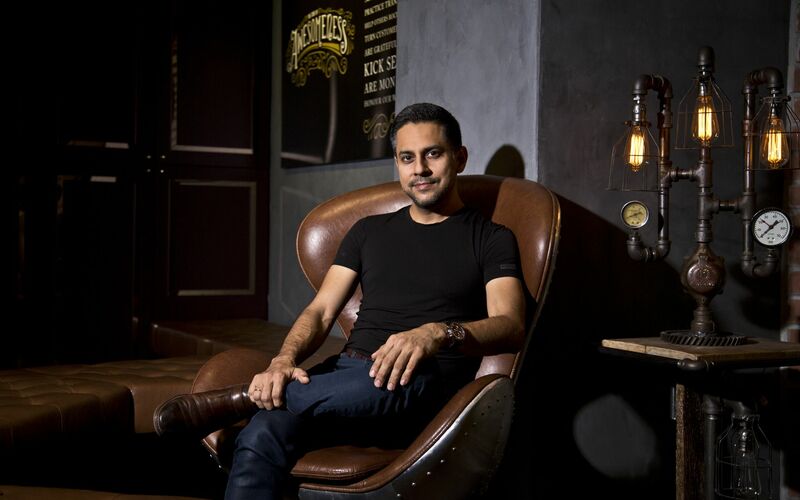 Vishen Lakhiani is the founder of edutech firm Mindvalley, the global online self-development school that promises a ‘transformational education’ to its millions of users. Its programmes offer a holistic curriculum designed to re-code what it calls established patterns of thinking. Programmes are often focused on wellness, spirituality and personal growth, conducted through both large-scale conferences and online courses, enlisting the skills of well-known self-help gurus such as Robin Sharma. The Malaysian entrepreneur is also the author of New York Times Bestseller, The Code of the Extraordinary Mind. The book is “a blueprint of laws to break us free from the shackles of an ordinary life”, based on personal experiences and over 200 hours of interviews with leaders such as Elon Musk, Richard Branson and Arianna Huffington. Lakhiani spoke to Malaysia Tatler about his entrepreneurial journey. Here are three core tenets that set him on the path to success. In his formative years, Lakhiani moved to Silicon Valley just before the dot-com bubble burst. Facing hard times, he found himself in a dial-for-dollars telemarketing job, where he was paid on commission. With morale “at an all-time low”, he signed up for a meditation class that changed his path permanently. After a while, Lakhiani grew tired of sales and focused his attention on education, inspired by his mother, a former teacher.